You know what? It could’ve been worse. Lest we sound glib, consider that the 2018 Golden Globes marked Hollywood’s most prominent public showing since the horrific allegations of sexual harassment and abuse against Harvey Weinstein broke in October, sparking waves of similar revelations both inside and outside of the entertainment industry. For months, sexual abuse has been at the forefront of the nation’s minds, and as ground zero, Hollywood has become the somewhat unlikely face for a concerted push to change the very fabric of how society (mal)functions. In other words: The atmosphere at the Golden Globes wasn’t exactly primed for a feel-good night full of splashy lemonades. By and large, however, attendees mostly came prepared to face that fact, even though the Globes are traditionally known for being one of the splashiest nights of the awards season. A week ahead of the ceremony, a coalition of more than 300 women working in Hollywood announced the Time’s Up initiative, which aims to combat sexual abuse in workplaces across all industries. Then on the Globes red carpet, most women wore black as a symbol of protest; some even walked the red carpet with activists like #MeToo founder Tarana Burke to drive home the breadth of the movement. To break down how Hollywood addressed some of its deep-seated issues — as well as who actually took home the night’s trophies, for better or for worse — here are some winners and losers from one of the most memorable Golden Globes ceremonies in recent memory. 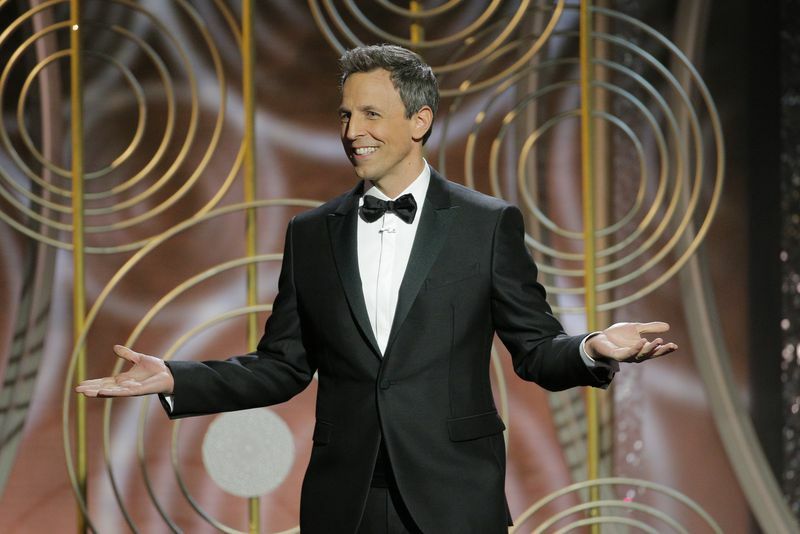 Seth Meyers was tasked with a near-impossible challenge in hosting this year’s Globes. If he came out of the gate too somber, he’d sink any energy the room had. If he leaned on the punchier side, he might come off as too cheesy. But in a straightforward, unsparing monologue, the Late Night host struck an impressive balance. He went hard at the men who have fallen under the weight of sexual harassment allegations, especially when he declared that 20 years from now, Weinstein would be the “first person to be booed during the ‘In Memoriam.’” He even handed the mic to a series of actors who were more qualified to land punchlines about sexism, racism, and Kevin Spacey’s alleged history of targeting minors. Meyers toed a tricky line and then got the hell out of the way, appearing only briefly throughout the rest of the evening. And that’s about as much as he could have done, given the circumstances. And as a bonus: Meyers barely mentioned President Trump at all. In fact, he only ever referred to him as “our president,” in glancing references that would be difficult for even the most defensive Trump supporter to turn into a knee-jerk tweet about liberal Hollywood and its hatred of the current administration. 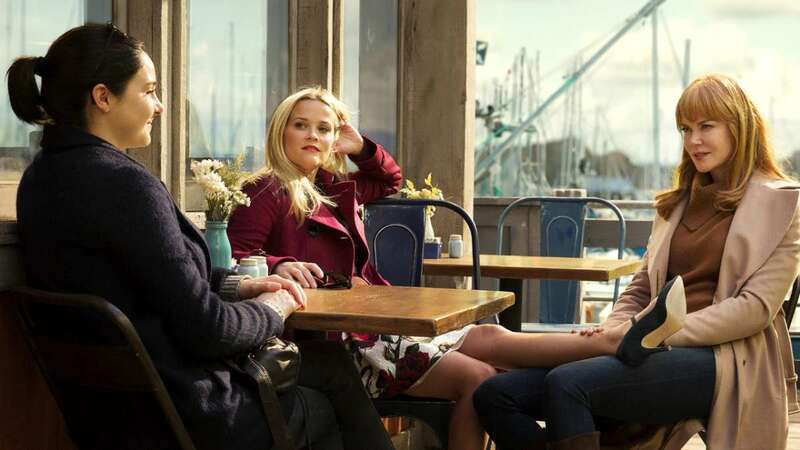 Already an Emmy behemoth and a ratings winner, Big Little Lies looks likely to keep scooping up awards once it arrives at the various industry awards that mark the next stage of awards season, including a few where it’s been classified as a drama series, thanks to the fact that it will have a second season coming at some point. Give or take a Handmaid’s Tale, it’s the biggest TV awards winner from 2017. Hey, since Big Little Lies just announced a second season, about the same characters, starring the same actors, it’s really not a limited series anymore, is it? But there it was, sucking up all the prizes that might have been won by Feud or Fargo or, hell, The Young Pope. 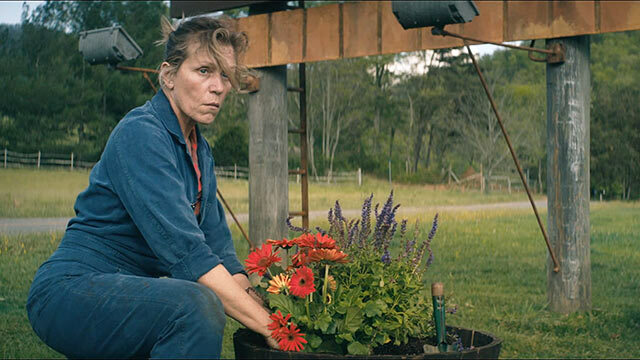 The caustic, darkly comic ballbuster Three Billboards Outside Ebbing, Missouri walked away from the Globes with trophies in four of the six categories it was nominated in, and the most awards of any feature film of the night: The movie took the Best Motion Picture — Drama prize, stars Sam Rockwell and Frances McDormand both took home acting awards in their categories, and director Martin McDonagh won for his screenplay. Unfortunately for awards prognosticators, the Globes aren’t especially reliable awards predictors. Last year, the winner of the Globes’ Drama prize, Moonlight, did end up winning Best Picture, and the awards’ big winner La La Land also performed well at the Oscars. But the overall match rate between the Drama winner at the Globes and the Oscars Best Picture winner is still less than 50 percent. On paper, Steven Spielberg’s journalism blockbuster The Post looks like a major awards contender in every category, almost by default: It boasts Tom Hanks and Meryl Streep at the center of an absurdly stacked cast, and though it’s about events that took place during the Nixon administration, it’s been seen as a direct answer to the Trump administration’s assault on the free press. But though the Hollywood Foreign Press Association nominated the film in six categories — Best Director, Best Actor, Best Actress, Best Picture, Best Screenplay, and Best Original Score — it lost in all of them, to three different films. And any time Meryl Streep is up for an award and doesn’t win it, that’s a little surprising. Since the Globes aren’t a surefire Oscar predictor, The Post’s losses at the Globes don’t mean much regarding its chances at the Oscars in March. Then again, the film didn’t receive any nominations from the Screen Actors Guild, which often helps pave the way for Oscar nominations. It could still pick up steam over the next two months, but its performance at The Globes didn’t earn any early votes of confidence. During a night of pointed statements about gender in Hollywood, Natalie Portman may have “thrown shade” the most. Portman’s characterization was perfectly accurate, and the lack of women nominees became even more clear when Barbra Streisand took the stage to present the Best Motion Picture (Drama) prize and noted that she is the only woman to have ever won Best Director, for Yentl in 1984. Though Hollywood’s record in hiring women directors leaves much to be desired, 2017 featured a number of great films directed by women, three of whom were considered to have awards season potential: Patty Jenkins for Wonder Woman, Dee Rees for Mudbound, and Greta Gerwig for Lady Bird. Battle of the Sexes, for which Emma Stone was nominated for a Globe, was also co-directed by a woman, Valerie Ferris. Two of these films, Mudbound and Lady Bird, have been major players in awards conversations thus far, and Lady Bird won the Globes’ Best Motion Picture Comedy prize. Gerwig, in particular, has been in contention for Best Director prizes from critics’ groups throughout the end of the year, including winning that honor (along with Best Screenplay and Best Picture) the day before the Globes by the National Society of Film Critics. Though Big Little Lies was the big winner of the night on the TV side, there was a quieter, sneakier winner just off to the side — the big three streaming networks, Netflix, Hulu, and Amazon. Indeed, the only TV awards not won by Big Little Lies or a streaming network were two of the three Best Actor prizes, with Sterling K. Brown of NBC’s This Is Us winning the Drama Series acting prize and Ewan McGregor of FX’s Fargo winning the Limited Series acting prize. But beyond that, the other TV awards went to Hulu’s Handmaid’s Tale (Drama Series and Elisabeth Moss for Actress in a Drama Series), Amazon’s The Marvelous Mrs. Maisel (Comedy Series and Rachel Brosnahan for Actress in a Musical or Comedy Series), and Netflix’s Master of None (Aziz Ansari for Actor in a Musical or Comedy Series). This wasn’t the world-shaking dominance of Big Little Lies (which won four awards all on its own), but it was a sign of the way the TV tides are turning. If the overriding theme of the night was Hollywood’s attempts to reckon with the horrible actions exposed by the #MeToo movement, then it only seems fitting to give the last word to Oprah Winfrey, winner of the Globes’ Cecil B. DeMille Award for career achievement, who gave a rousing, moving speech that took listeners from her childhood self, watching Sidney Poitier become the first black man to win the Oscar for Best Actor, to a present when the stories of those seeking justice need to be listened to more than ever.